Hackers today continue their fraudulent activities of blocking the majority of browsers with fake NSA (National Security Agency) and Central Security Service alerts. This time they’ve invented a brand new yet fake warning, supposedly coming from Digital Ocean, Inc. The scary alert says that “All activities of this computer has been recorded by Digital Ocean, Inc.” And this is surely an absolute scam. In this guide we will help you to get rid of this weird warning from your screen. All activities of this computer has been recorded by Digital Ocean, Inc. 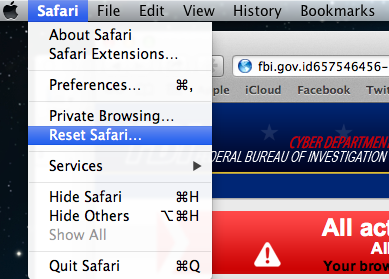 This browser has been locked for violating the Law of the United States of America. – contain images of child abuse, originating anywhere in the world. – contain adult material that potentially breaches the Obscene Publications Act in the US. – storing or distribution of the multimedia files with copyrights violation. You have been subjected to violation of Copyright and Related Rights Law (Video, Music, Software) and illegally using or distributing copyrighted contents. You have been viewing or distributing prohibited Pornographic contents. We’ve seen this fake alert from the website called national-01-internet-new-department[dot]in, even though it may also be spread from other malicious websites. There are many other scary messages displayed by this “US Alert Page”. What you must realize is that this is an absolute scam, having nothing to do with NSA or Internet Watch Foundation (IWF). This message is not sent by Digital Ocean, Inc. It comes from servers of hackers who want you to pay money in their favor to unlock your browser. These crooks will tell you to pay ransom through PayPal My Cash system. The ransomware is able to track your IP address and even your location. Please don’t pay any “fine” as reported by this scam. Remember that this is a ransom in fact. Hackers who stand behind this ransomware simply want to get your money, and there’s no guarantee that they will unlock it after the payment is made by you by mistake. 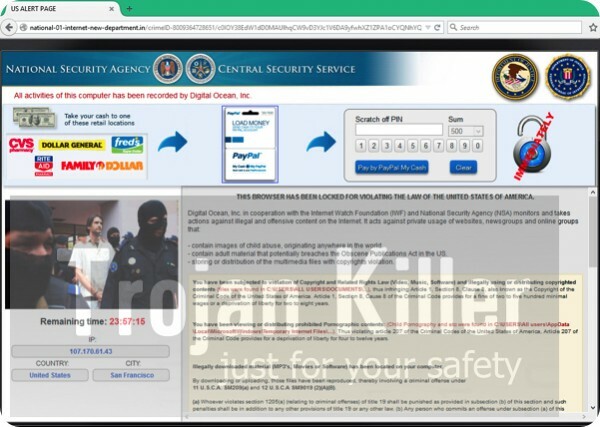 There’s an easy way to get rid of this scam from your browser and to unlock it for free. You need to download Plumbytes Anti-Malware and reset your browser with its help. This can be done as explained in the tutorial below. First of all, stop (end) your browser by clicking “Ctrl-Alt-Delete” hotkey combination. 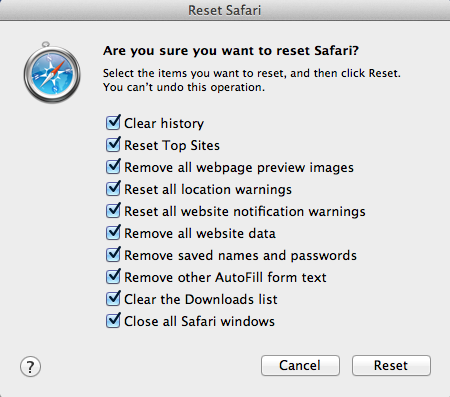 Solution to get rid of “Your browser has been locked” message for Apple’s Mac OS X Users. Important! If the above-mentioned guidelines didn’t help you unlock your PC, use this guide as a final solution – http://www.bleepingcomputer.com/virus-removal/remove-your-computer-has-been-locked-ransomware and this guide as well. How to remove Web United Ads?